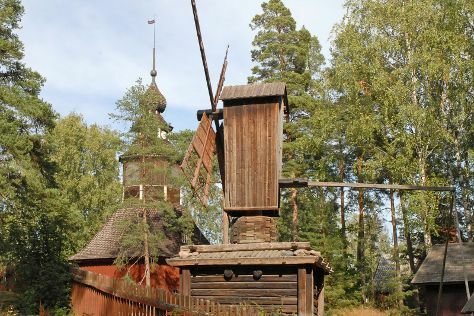 Seurasaari Island and Open-Air Museum and Rock Church are good opportunities to explore the local culture. You'll discover tucked-away gems like Bellevue Beach and Arboretum Mustila. You'll find plenty of places to visit near Helsinki: Linden Esplanade (in Kotka), Porvoo Old Town (in Porvoo) and Nuuksio National Park (in Espoo). Pack the 21st (Tue) with family-friendly diversions at Linnanmaki Amusement Park. And it doesn't end there: steep yourself in history at Sea Fortress Suomenlinna, pause for some serene contemplation at Helsinki Cathedral, wander the streets of Katajanokka, and contemplate in the serene atmosphere at Kamppi Chapel of Silence. To find ratings, maps, where to stay, and more tourist information, refer to the Helsinki trip itinerary maker site . If you are flying in from United States, the closest major airport is Helsinki Vantaa Airport. In July in Helsinki, expect temperatures between 71°F during the day and 55°F at night. Finish your sightseeing early on the 24th (Fri) to allow enough time to travel back home.